One of the quilt groups that I am a member of is the Red Berries. They meet twice a month in Berry and at one of those meetings they usually have a guest speaker. Last month's speaker was a good friend of mine who as you can see from these gorgeous quilts is into reproduction, or reproduction style quilt. Don't you just love them. 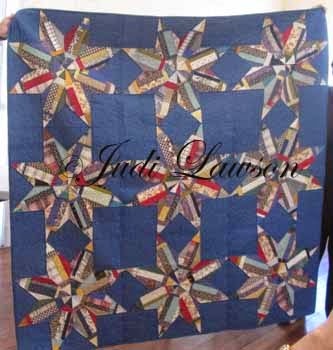 The blue star quilt is one that I hope to make at some time in the future while the hexagon with orange inserts is one that I have already made TWICE. Must take a photo of those quilts soon. Say when I finish quilting them... well that means it won't be soon. 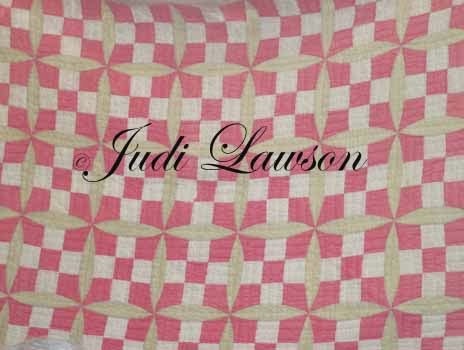 Judi was interesting to hear. In her first few quilts, in an endeavour to more closely reproduce old style quilts she had used flannelette sheets rather than wadding. 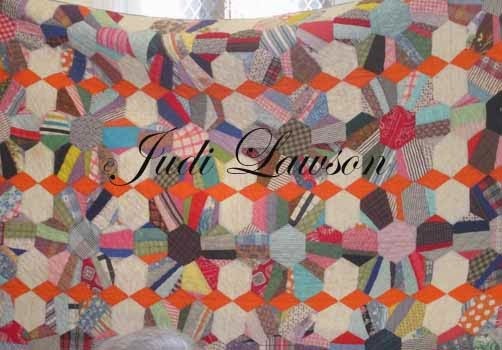 She said that this had been very difficult to hand quilt and actually resulted in damage being done to her thumb. I would have thought it would have been easy to hand quilt through the sheet. Live and learn. Carol is still at it. Collection 31 - Where Did That Name Come From?